Accounts receivable is the term that bookkeepers and accountants use to refer to the outstanding money that is owed to you for sales that you have already made that haven't been paid for yet. The account is called A/R for short. There usually is only one single account on the chart of accounts to track all of the outstanding invoices even though the word "accounts" is plural. This is an account that should be added to your chart of accounts by the first time you write an invoice. The account will be used to track the money that is owed to your business. When you obtain the bookkeeping services of a professional bookkeeper they will make sure this account is setup for you. 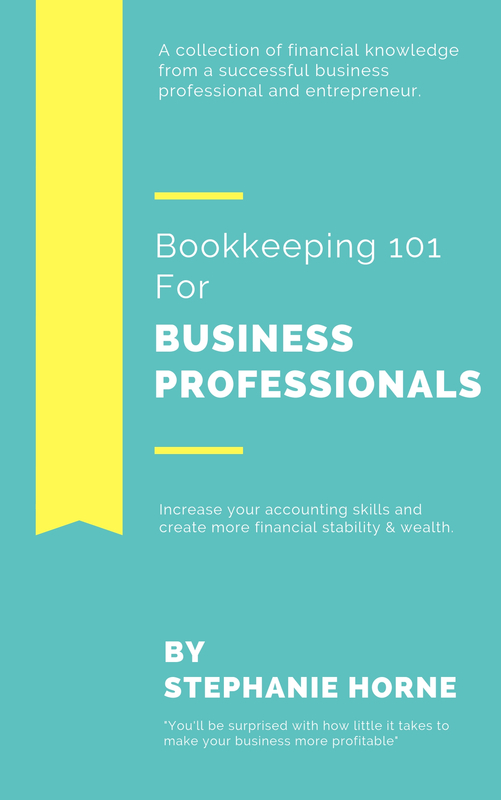 This Bookkeeping 101 EBook is a useful tool for business owners, bookkeepers, accountants and anyone responsible for household personal finances. You can receive the complete Bookkeeping 101 accounting series in a 23 page E-Book for $4.97 along with all sorts of other accounting, business and financial goodies. When you receive a payment from a customer, or when you write an invoice, you should enter the transaction in the register for your A/R account. 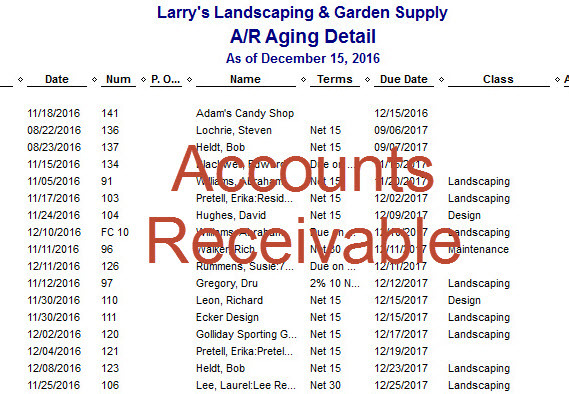 This account is listed in your chart of accounts as "Accounts Receivable." But if you really need to use more than one of this type of account in your business, then you can add additional A/R accounts to the chart of accounts as well. For each customer that you have, you will need to enter the amount owed to you on your start date. If you do not know the opening balance, you can choose a different start date starting from when you do know the opening balance. Or you can figure out the opening balance by reconstructing what your customers owe you today by subtracting any payments they made between then and now, and adding any additional billings between then and now. You can also ask your accountant for the year-to-date balances for your accounts. When you enter the opening balance for your customers, you're building the A/R opening balance. The A/R register will list all of the payments from customers, credit memos, invoices, and customer discounts that you have entered related to each of your individual customers. New statement charges can typically be entered directly into the register. A statement charge will appear as one item, instead of the multiple items that are shown on the invoice. You cannot enter any other transactions directly into the register. Do You Have An Accounts Receivable Question? Ask your Accounts Receivable question and help others while you're at it! Your contribution will appear on a Web page exactly the way you enter it here. You can wrap a word in square brackets to make it appear bold. For example [my story] would show as my story on the Web page containing your question. What is the industry standard for interest charged on accounts that are 30/90/120 days overdue? What is a percentage or dollar amount that is added to an overdue accounts receivable considered to be?